With caffeine in hand, we are kicking Monday off with a slam as we let you in on the top 5 QA best practices for software development, as well as covering a local San Diego startup. In this week’s edition, we will be looking into Shield AI. It is not often you hear of a startup working with the Department of Defense and the Department of Homeland Security, but the team over at Shield AI is doing just that. On April 3rd, they wrapped up their most recent funding, a $10.5M Series A. This recent round was led by powerhouse VC Andreessen Horowitz. With this funding, it brings their total equity funding to a whopping $13.14M which was achieved in just only 3 rounds. To protect service members and innocent civilians with artificially intelligent systems. Today, actionable intelligence is extremely difficult to collect in the last several miles of combat environments and as a result we ask people to make life altering decisions with very limited information. Sometimes, these unapprised decisions have tragic costs. 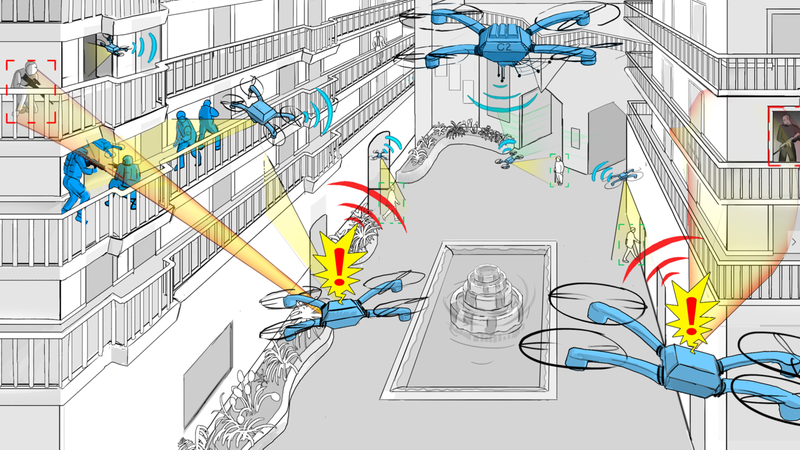 We solve the intelligence deficit in the last mile by giving robots and UAVs the ability to perceive their environment. Once they can perceive their environment, they can explore, collaborate, and gather intelligence in their environment. Our products provide forces with intelligence that removes the fog of war and allows them to make better more informed decisions. Decisions that protect and save lives. With regard to ground combat missions, Shield AI’s goal is to reduce American and civilian casualties to 0 by 2030. Their goals are high but with the passion of their team and their current funding, we here at Seamgen look forward to their progress. We briefly mentioned what Shield AI is all about but time to get more in depth. Similar to how information based technology such as GIS is used on the local, state, and federal level, Shield AI works in the same manner but with AI. Reducing risk is a main focus and it is done through developing AI for intelligence, reconnaissance, and surveillance. Shield AI found its calling within the defense community, a path not taken often. With a passionate team and society’s increased awareness of the usability of AI, their name is getting out there. Below are some demo videos posted by the team. We hoped you enjoyed our brief coverage of Shield AI. Want more tech news? We got you covered.